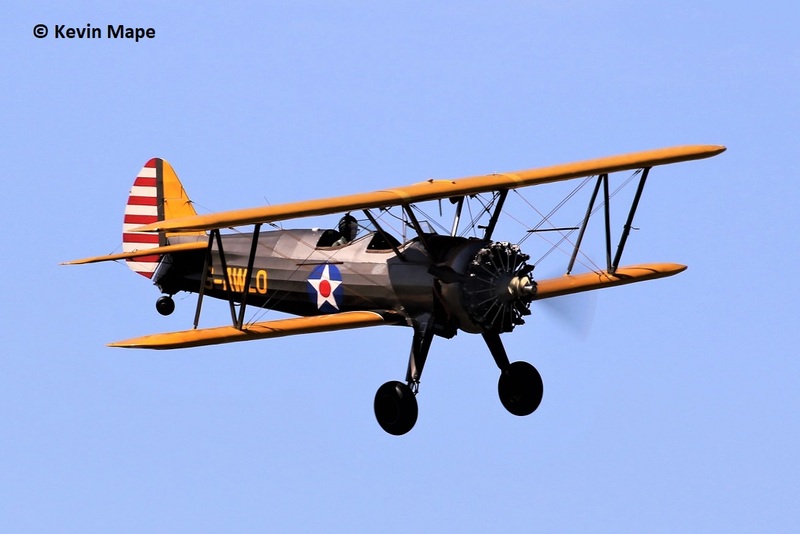 G-BRHP : O58B – 8533 : Built 1942 : AW : Flies as L3B USAAC 3- 1923. G-BRPR : O58B – 8823 : Built 1943 : AW : Flies as USAAC 3- 1952. G-BFAF : 7BCM-11 : Built 1947 : AW : Flies as US Army 47-757 coded A-797. 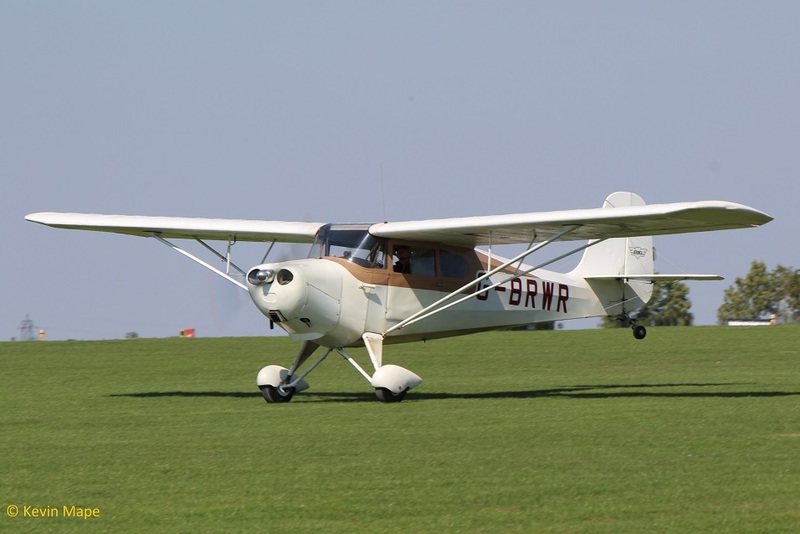 G-AJEV : 11AC – 270 ; Built 1946 : AW : Flies as US Navy 897 coded E.
G-BFHP : 114 : Built 1967 : AW . G-AVIL : A-5 : Built 1967 : AW : Mk 2. 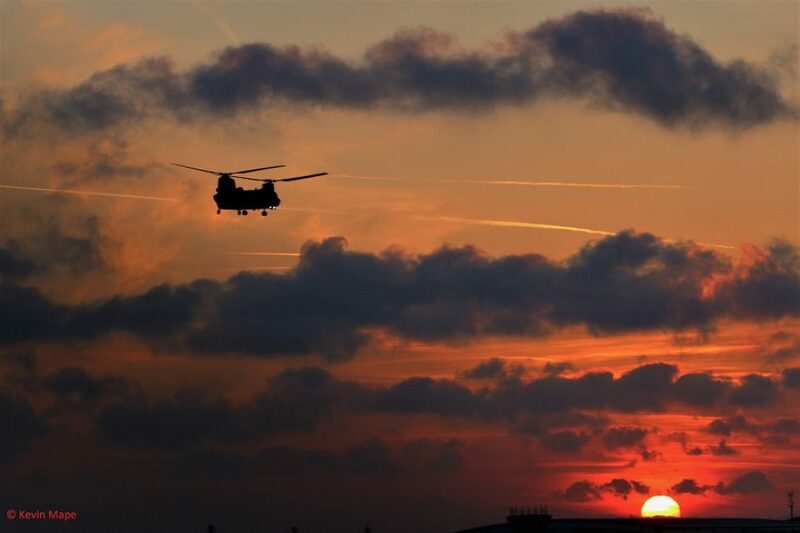 G-HARY : A-188 : Built 1966 : AW : Mk 2. 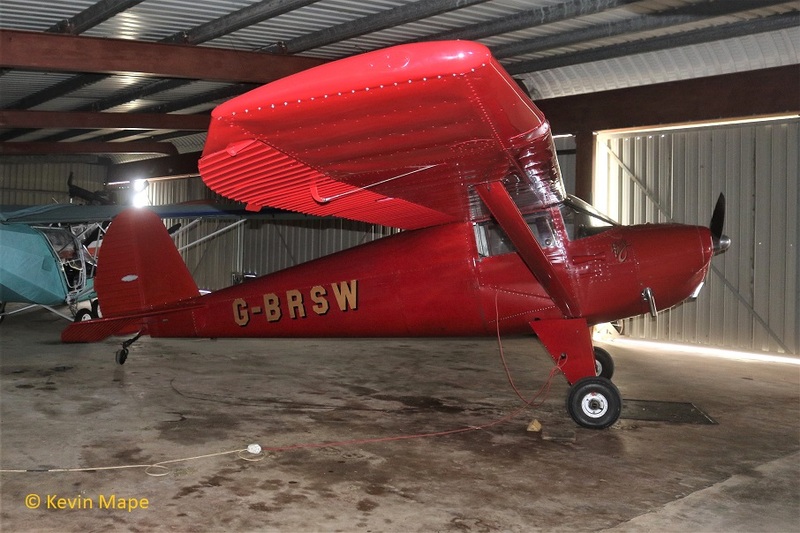 G-PTBA : 75-045 : Built 1936 :AW : A75 : Flies as 3789 USAAC Blue with yellow wing coded 466. 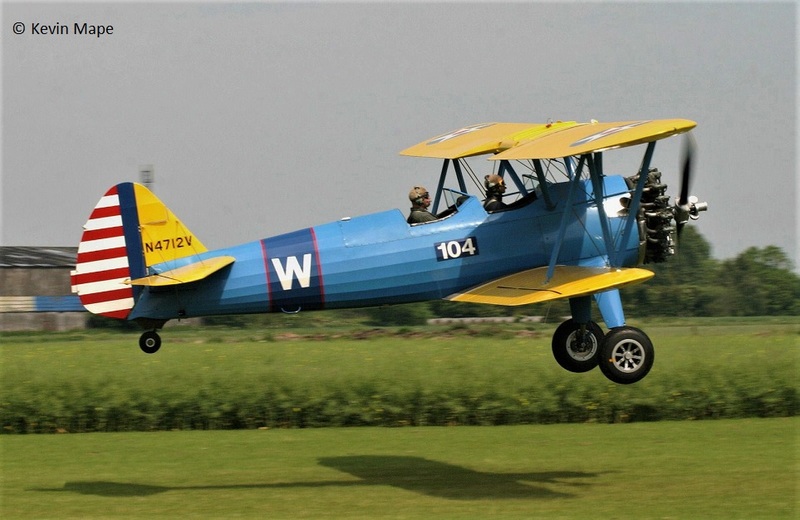 G-BSDS : 75-118 : Built 1938 : AW : A75N1 : Flies as USAAC Blue with yellow wings coded 118. 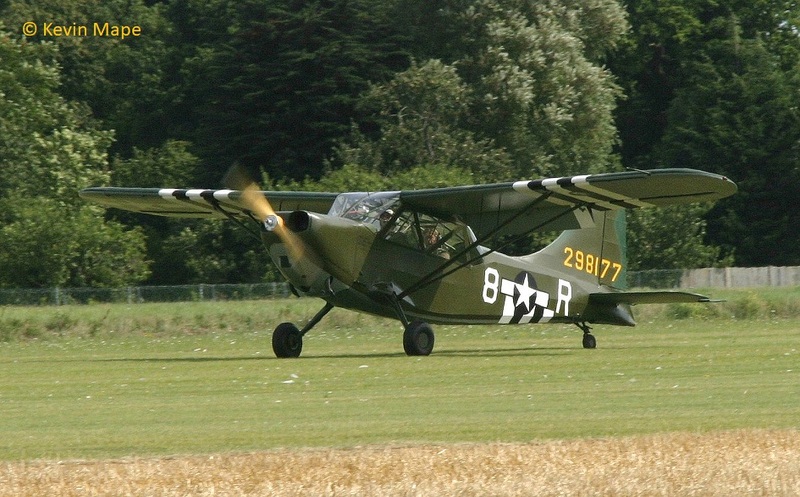 G-OBEE : 75-1174 : Built 1941 : AW : A75N1 : Flies as 3397 N2S-3 US Navy Yellow green stripes coded 174. CF-EQS : 75- 1728 : Built 1941 : PR : A75N1 : USAAC Blue with yellow wings coded 25. 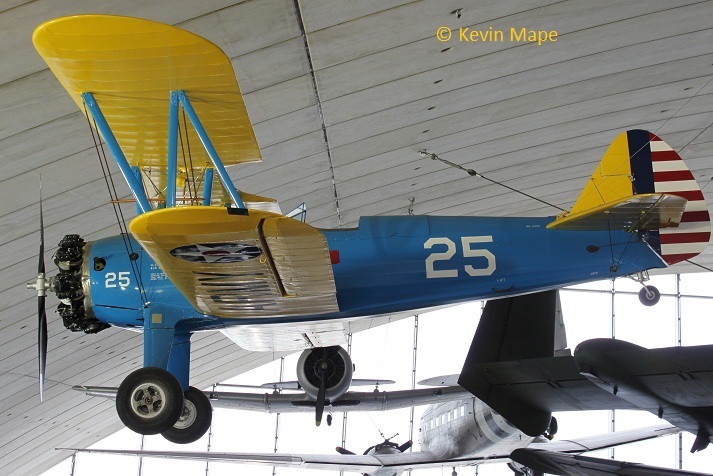 Preserved in the American Air Museum – Duxford. N38940 : 75-1822 : Built 1941 : AW : A75N1 : Flies as USAAC 18263 coded 822 -all silver. G-CJYK : 75-2634 : Built 1941 : AW : A75N1 : Flies as USAAC Black with yellow wings coded 27. G-BTFG : 75-3441 : Built 1940 : AW : A75N1 : Flies as 441 N2S-3 US Navy all red with white band. G-CCXA : 75-3616 : Built 1942 : AW : A75N1 (Mod) : Flies as USAAC Blue with yellow wings coded 669. 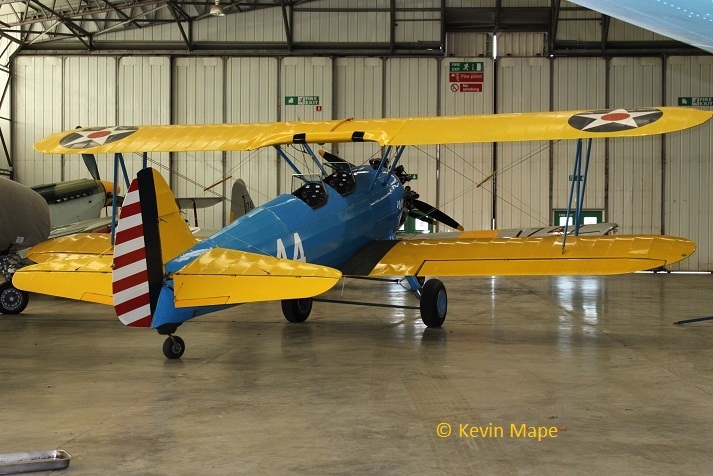 G-RJAH: 75-4041 : Built 1942 : AW : A75N1 : Flies as USAAC Blue with yellow wings coded 44. 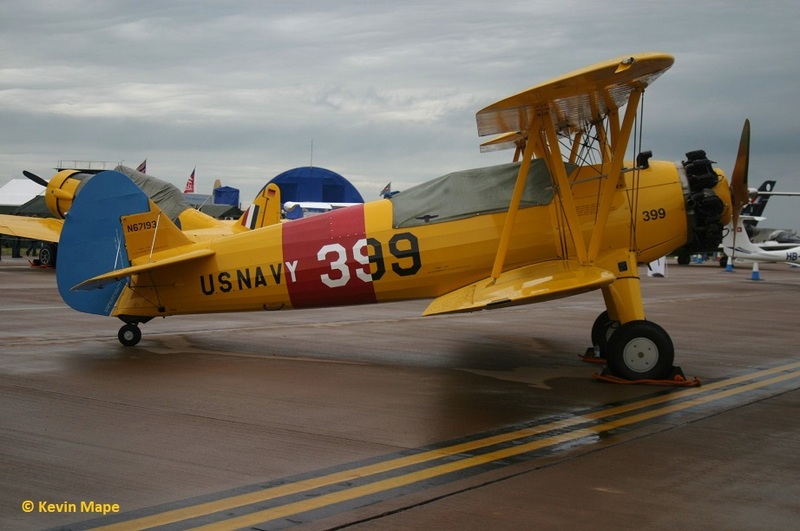 G-BRUJ : 75-4299 : Built 1942 : AW : A75N1 : Flies as 1636 N2S-3 US Navy all yellow with red bands coded 205. G-IIIG : 75-4354 : Built 1943 : AW : A75N1 : Flies as USAAC Blue with yellow wings coded 309. 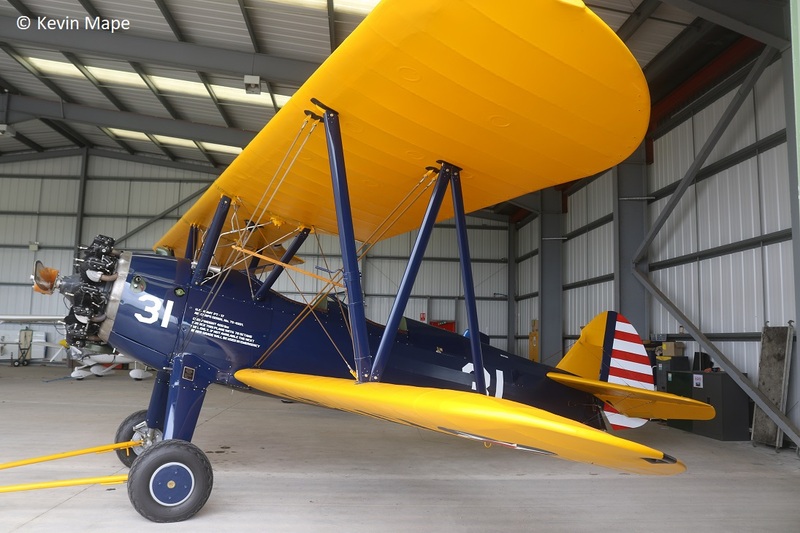 G-KAYD : 75-4501 : Built 1943 : AW : A75N1 ; Flies as USAAC dark blue yellow wings coded 31. 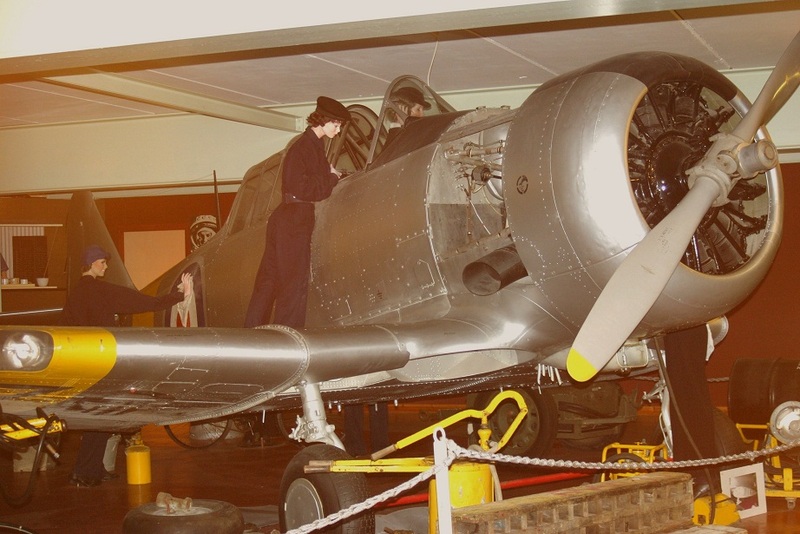 G-CJIN : 75-4826 : Built 1943 : AW : A75N1 : Flies as N2S-3 US Navy yellow with red band coded 582. 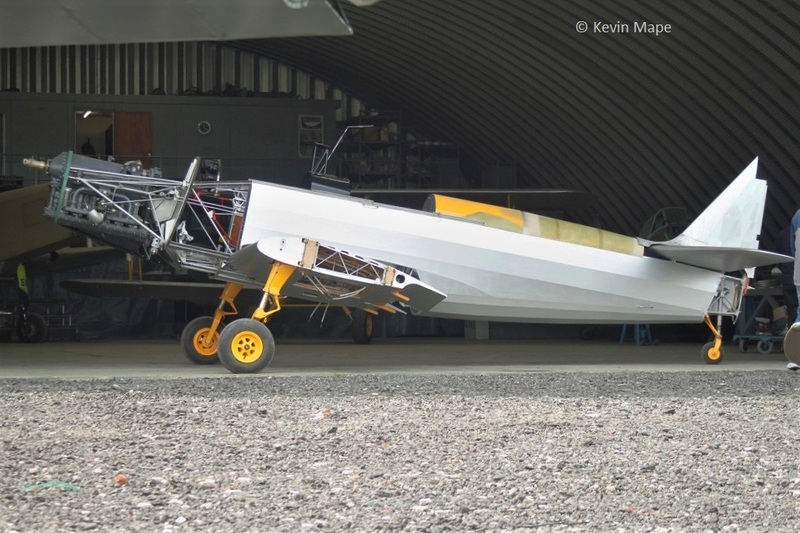 G-CIOC : 75-4961 : Built 1942 : AW : A75N1 : Flies as G-CIOC Dark green with silver wings. 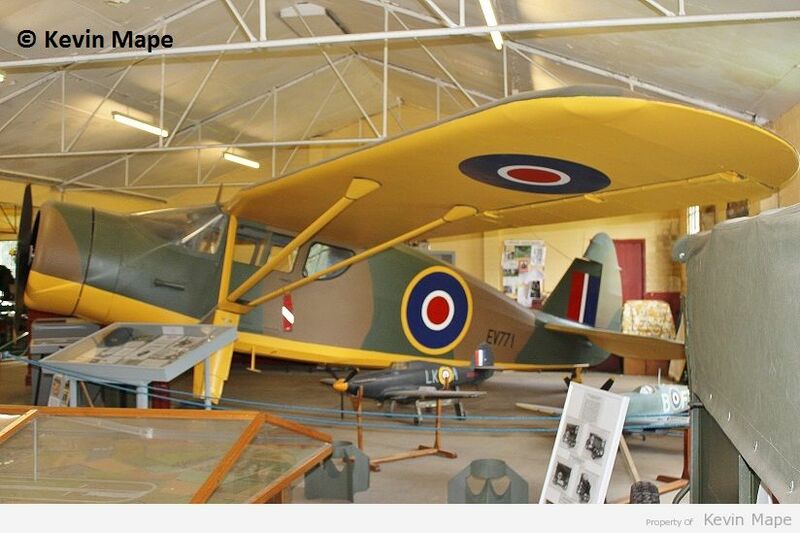 G-ILLE : 75-5028 : Built 1943 : AW : E75(Mod) : Flies as USAAC Blue with yellow wings coded 379. N4712V : 75-5094 : Built 1943 : AW : A75 :Flies as USAAC Blue with yellow wings coded W-104. 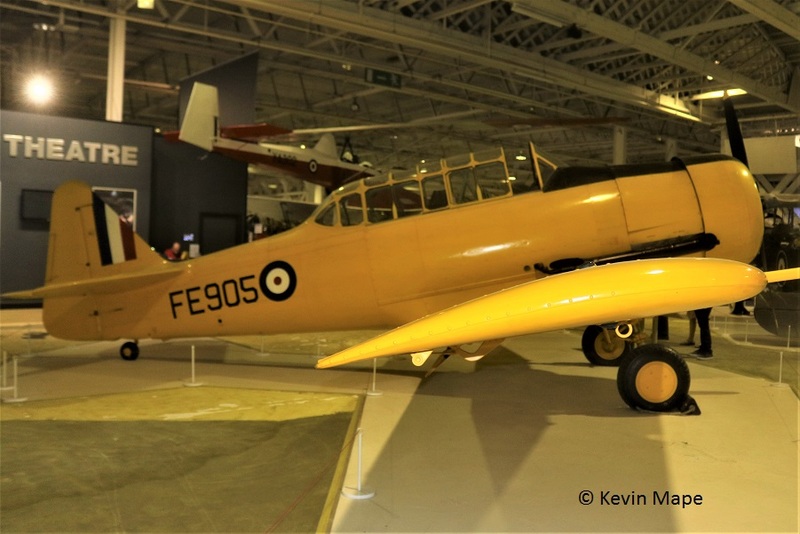 G-CIJN : 75-5164 : Built 1943 : AW : E75 (Mod): Flies as USAAC Blue with yellow wings coded 317. 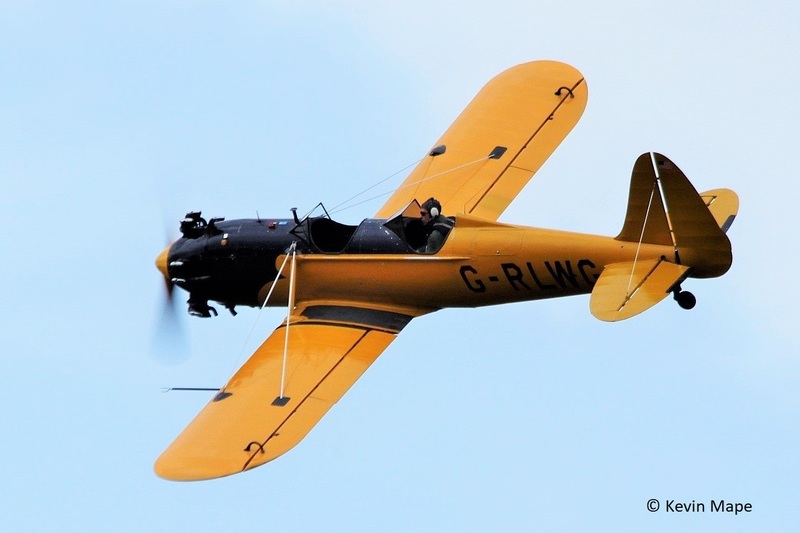 G-CGPY : 75-5303 : Built 1942 : AW : A75L 300 : Flies as VN2S-5 US Navy Yellow with red bands coded 671. 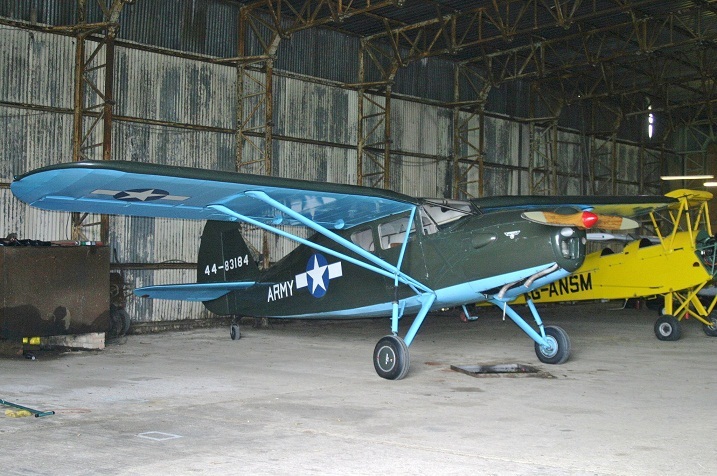 G-BSWC : 75-5560 : Built 1944 : AW : E75 : Flies as USAAC Blue with yellow wings coded 112. 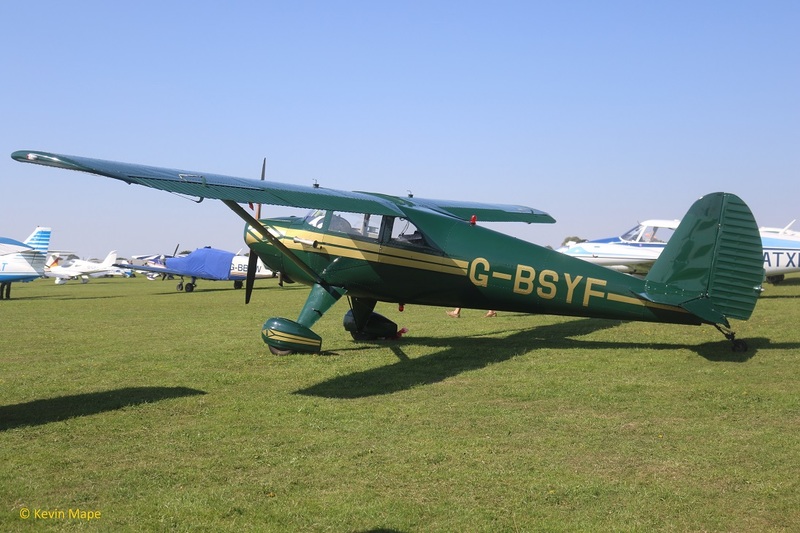 G-AWLO : 75-5563 : Built 1943 : AW : E75 ( Mod) : Flies as G-AWLO USAAC drab green with yellow wings. 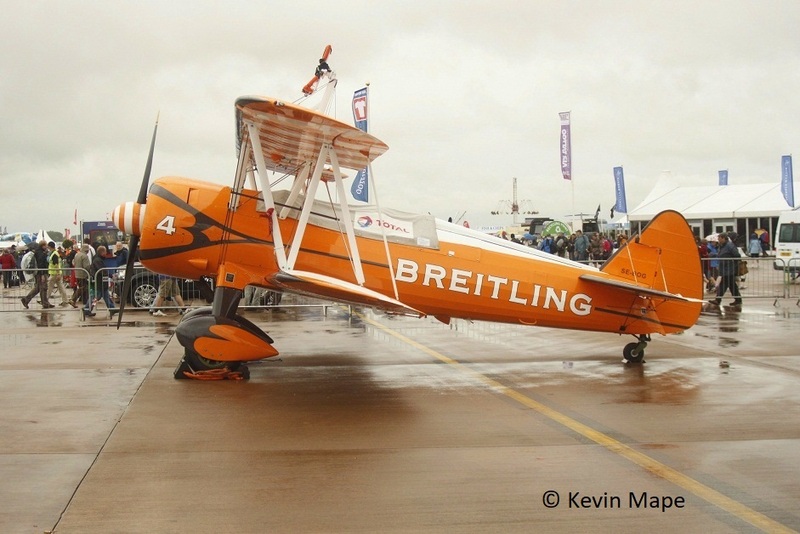 SE-BOG : 75-7128 : Built 19** : AW : A75N1 : Breitling 4 : Fairford. 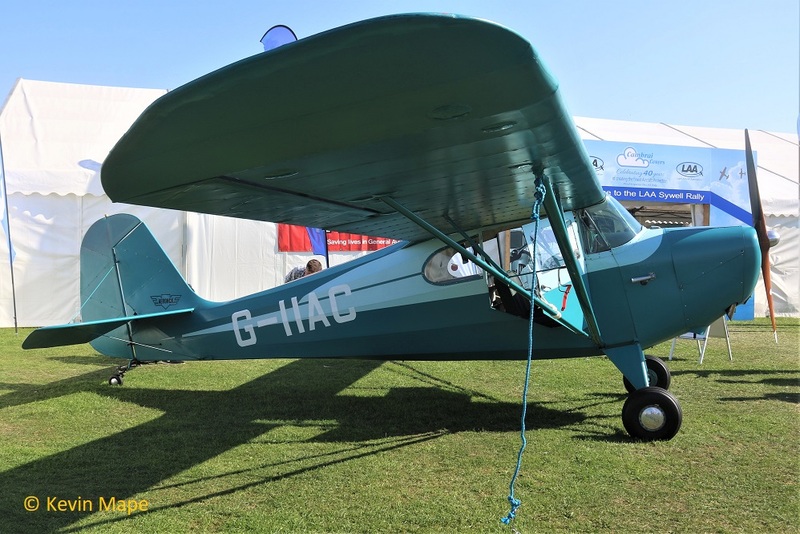 G-CCXB: 75-7854 : Built 1942 : AW : A75N1 (Mod) : Flies as USAAC Blue with yellow wings coded 699. N67193 : 75-8116 : Built 19** : AW : E75 : Flies as US Navy Yellow with blue tail coded 399. 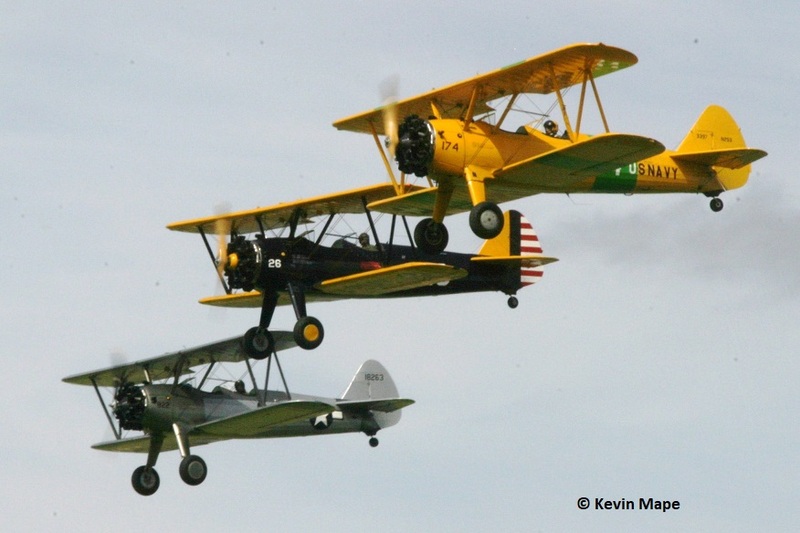 G-AZLE : 75-8543 : Built 1940: AW : A75N1 :Flies as 1102 N2S-3 US Navy all yellow with red band. 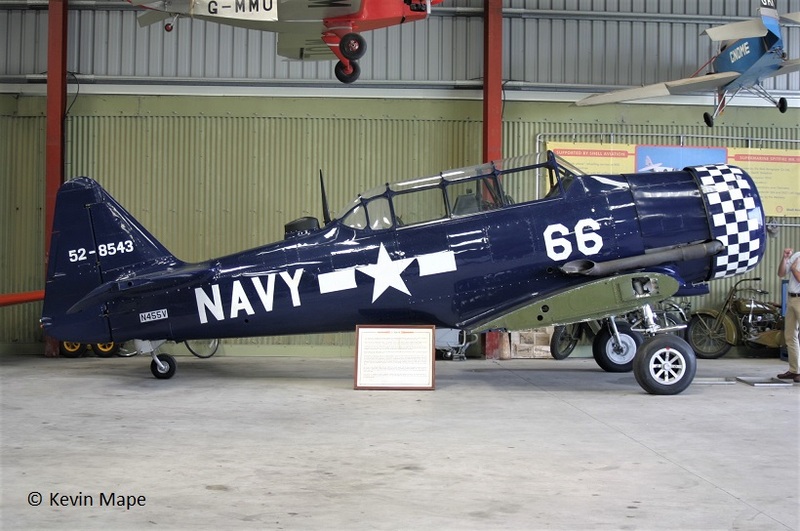 G-NZSS : 75-8611 : Built 1943 : AW : A75N1 : Flies as N2s-5 43527 US Navy yellow with red bands coded 227. 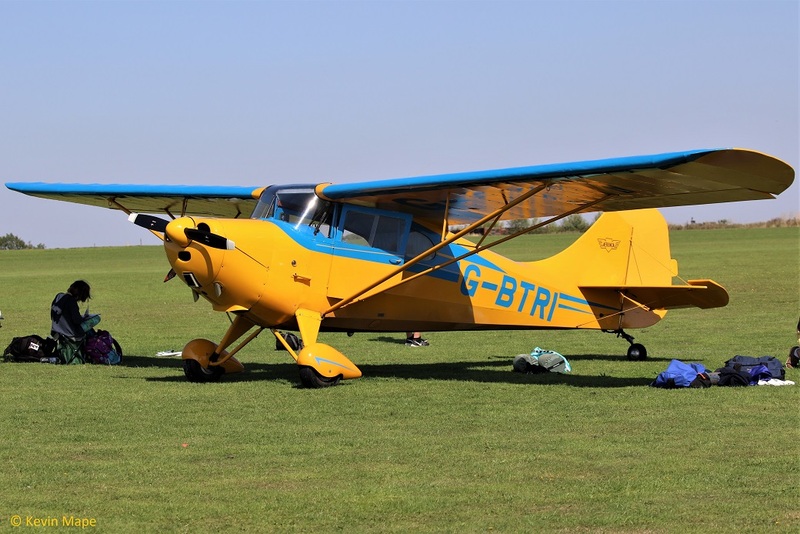 G-BAVO : 3250-1405 : Built 1945 : AW : A75N1 : Flies as USAAC Dark Blue with yellow wings coded 25. 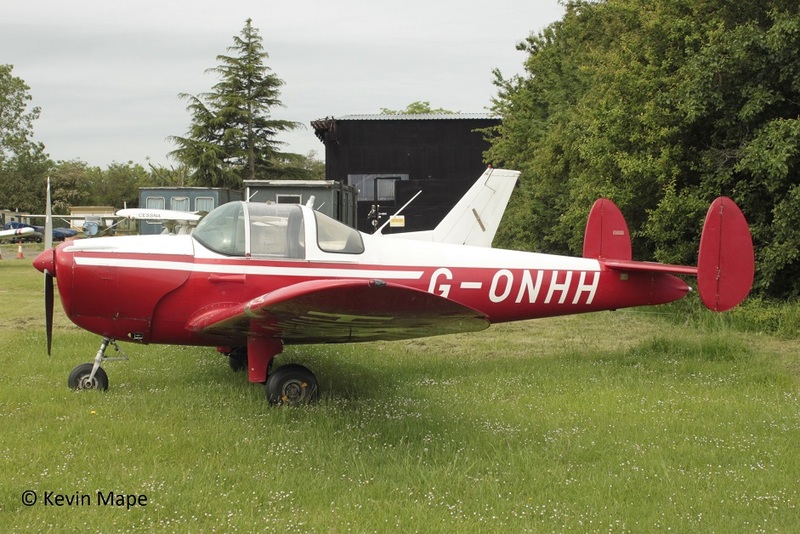 G-CFXT : 4445 : Built 1942 : RS : at Wickenby. 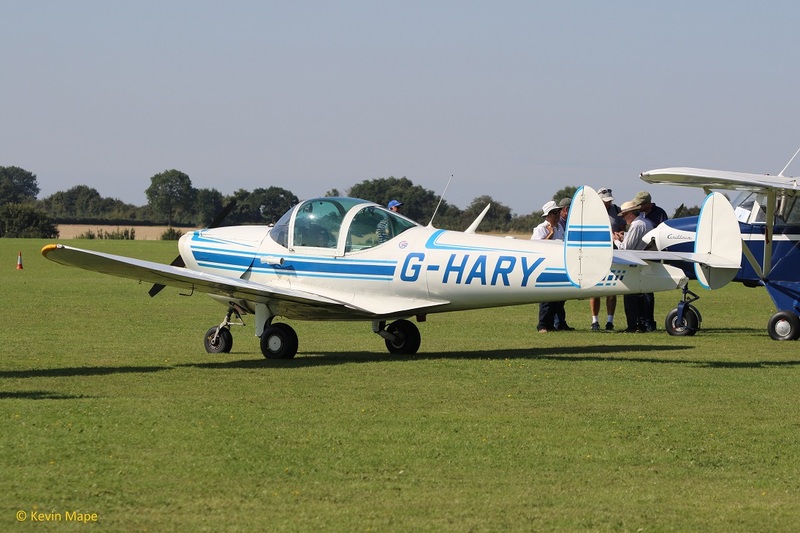 G-BYPY/1001/Built 1940/AW/ex F-AZEV/Flies as USAAC Silver yellow wings coded 001. G-AGYY/1167/Built 1940/AW/ex N56792/Flies as USAAC Silver yellow wings coded 27. G-RLWG/1716/Built 1940/AW/ex N58652/Flies as G-LRWG Yellow & Black. G-BTBH/2063/Built 1940/AW/ex N854/Flies as USAAC Silver yellow wings coded 854. N6438C : 1428 : Built 1942 : AW : Flies as USAAC 298177 coded 8-R drab green. 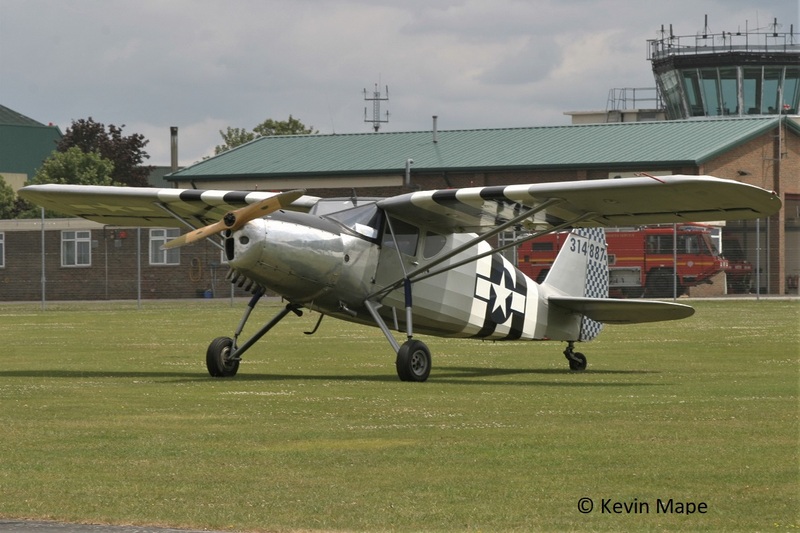 G-AJSN : 849 : Built 1943 : ST : ex HB612 : Fuselage G-AJSN. 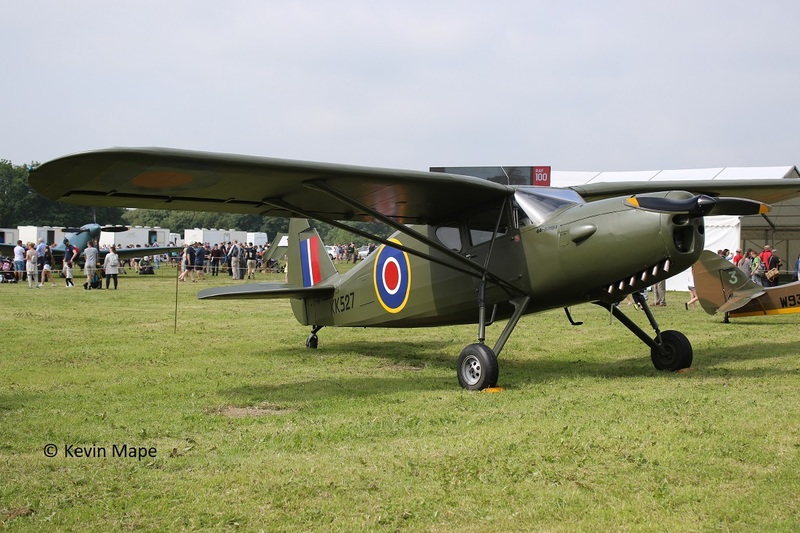 EV771 Fairchild Argus I replica Displayed at Thorpe Camp – Tattershall Thorpe. 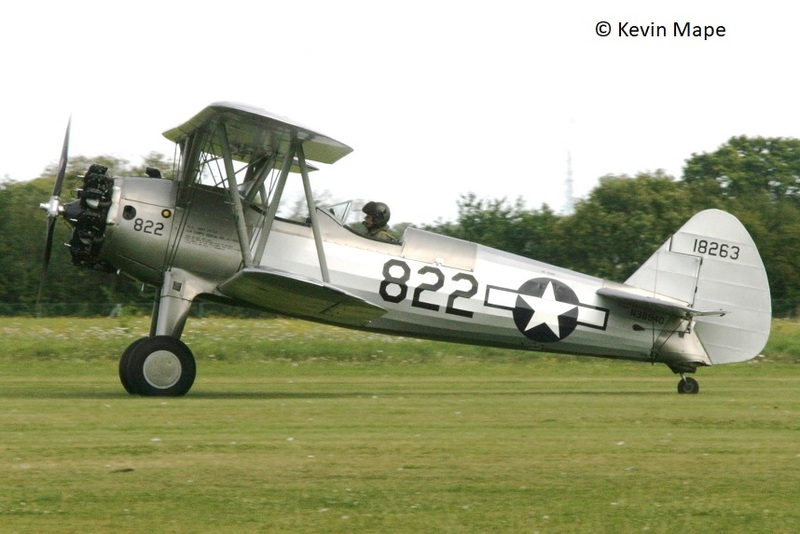 G-AJPI : 851 : Built 1943 : AW : ex HB614 Flies as 314887 USAAC all silver with invasion stripes. 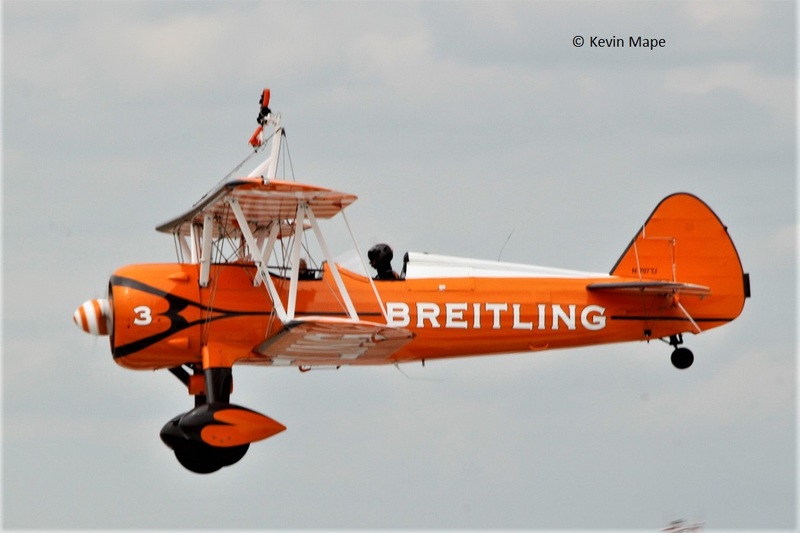 G-RGUS : 1145 : Built 1944 : AW ex KK527 Flew as 44-83184 USAAC Drab Green blue undersides. 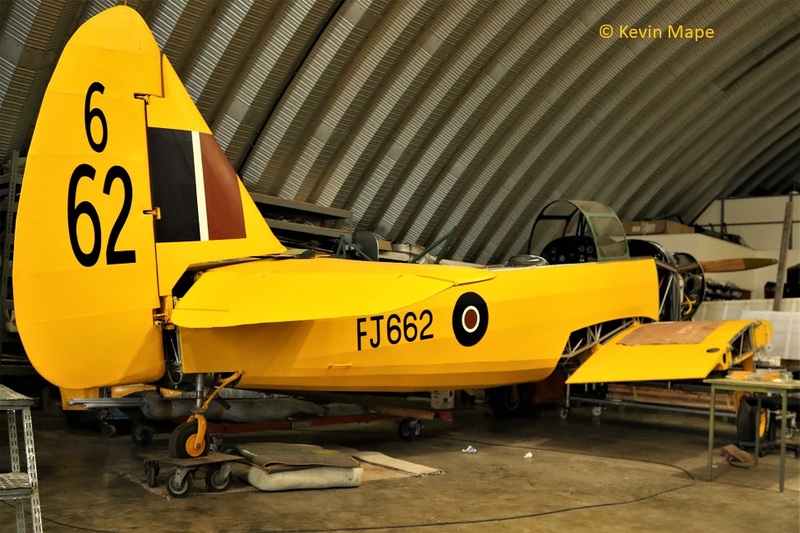 Marks were changed in 2016 and now flies as KK527 RAF Drab green. 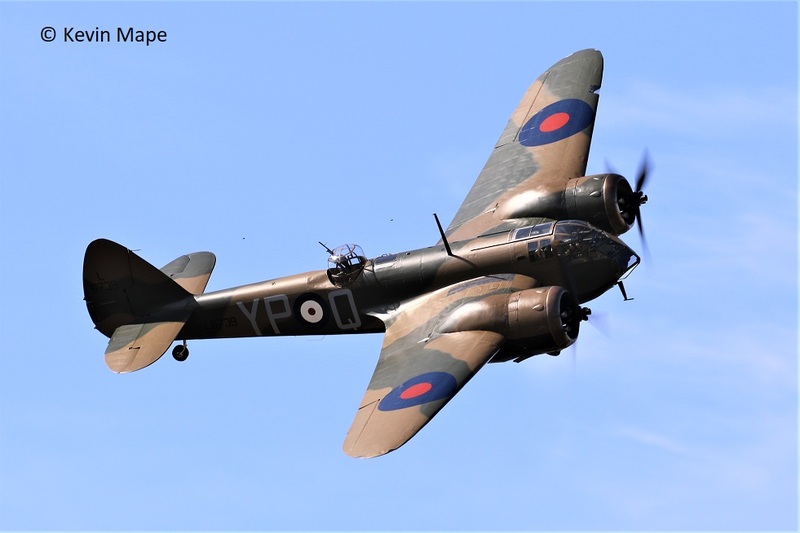 G-BPIV : 10201 : Built 1943 : AW : Flies as L6539 RAF Camo coded YP-Q – Mated with a Mk 1A Cockpit section. 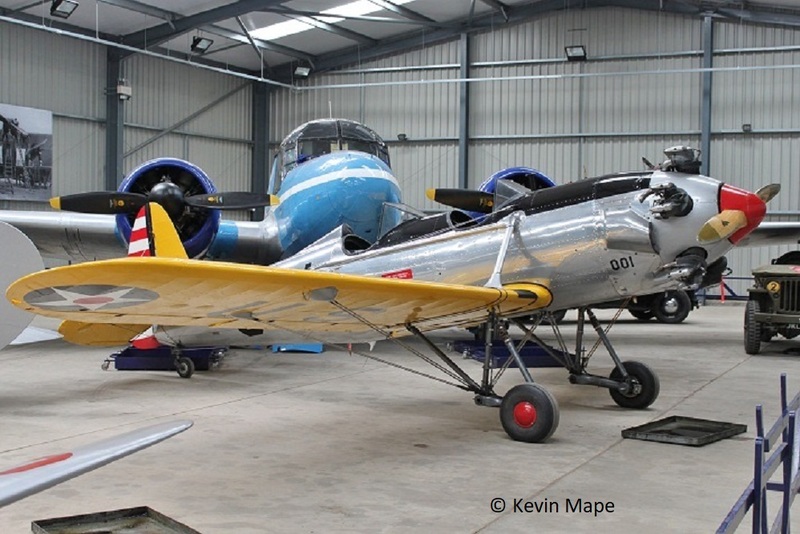 Warbirds – Preserved/Airworthy in the UK. F–BEES : 44-83735 : Built 1944 : PR : B-17G : Displayed as 42-38133 AAM at Duxford. N5237V : 44-43868 : Built 1944 : PR : B-17G : Displayed as 44-43868 RAFM Hendon . G-BEDF : 44-85784 : Built 1944 : AW : B-17G : Flies as 124485 Drab green coded DF-A. G-BHDK : 461748 : Built 1944 : PR : TB-29A : Displayed as 44-671748 Silver coded Y AAM at Duxford. 60689 : Built 1956 : PR : B-52D : Displayed in the AAM at Duxford. 44-50206 : B-24L : Preserved as 44- 44270 “Bee” RAF 99Sqn -RAFM Hendon. 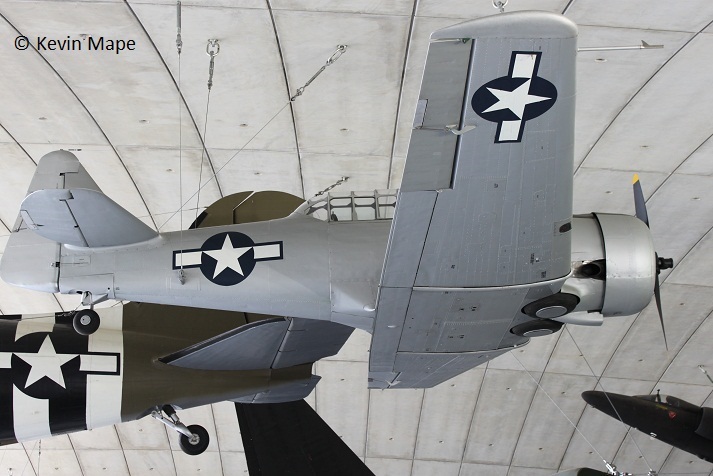 44-51228 : B-24M : Preserved as 44-50493 “Dugan” USAAF – AAM Duxford. 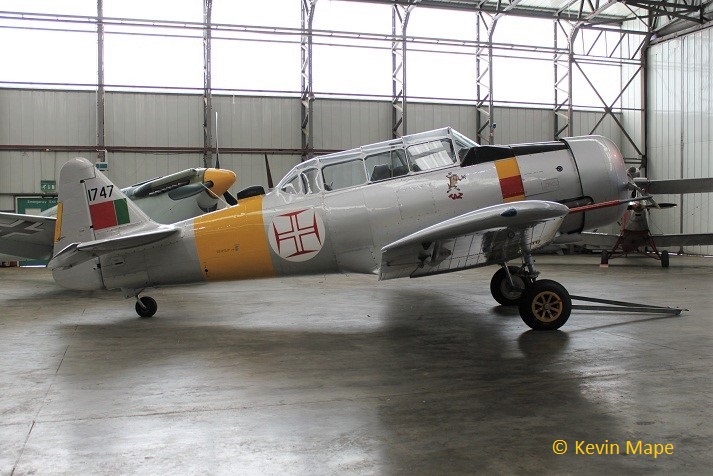 N37642 (ex G-BGOT ) : 88-10560 : AT-6 Havard IIA : flies as Portuguese Air Force 1551. G-TOMC : 88-14602 : AT-6D Havard III : USAF under rebuild. G-BGOR : 88-14863 : AT-6D Havard III : flies as USAF 14863. G-ELMH : 88-16336 : AT-6D Havard III : flies as USAF 42-84555/EP-H.
G-KAMY : 88-16849 : AT-6D Havard III : flies as USAF 8084 . G-BGHU : 182-749 : T-6G Texan : flies as USAF 115042/TA-042. G-TDJN : 44-81506 : AT-6D Havard III : flies as USAF 313048 . 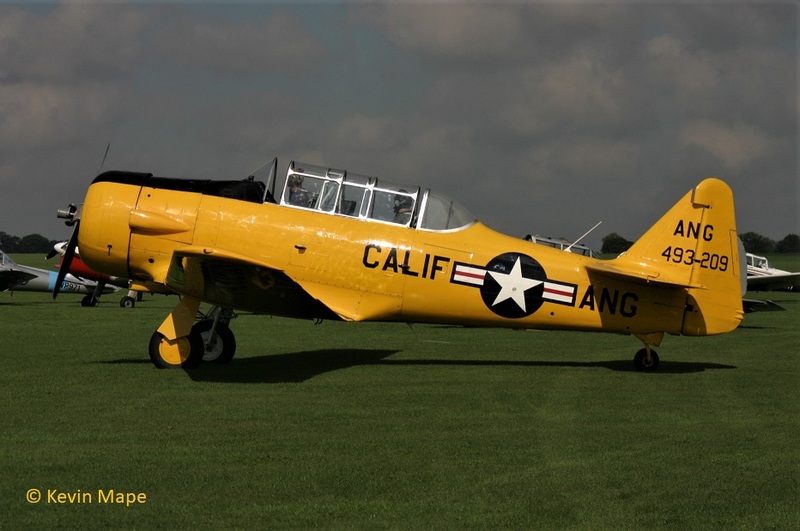 G-BICE : 88-9755 : AT-6C Havard II : flies as 41-33275 /CE USAAC . 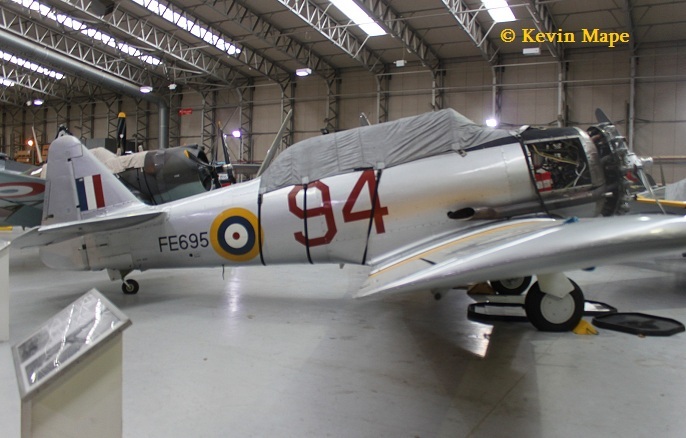 G-TEXN : 168-176 : T-6G Texan : flies as RAF KF402/HT-Y. 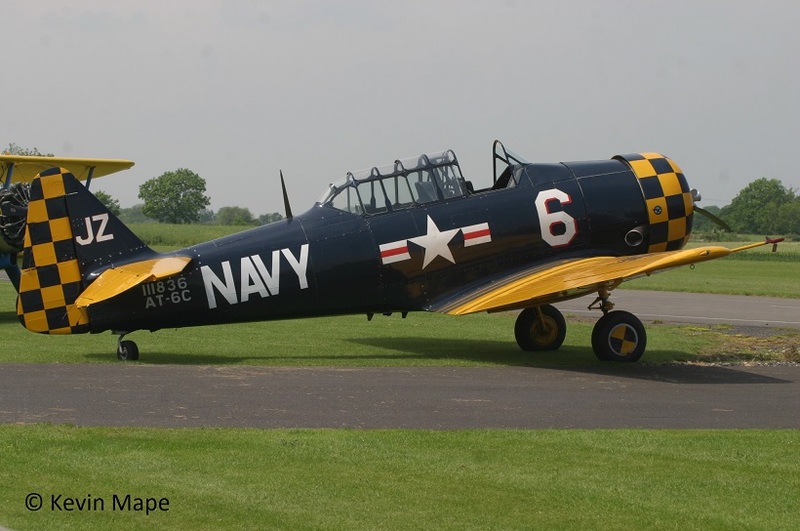 G-BKRA : 51-15227 : T-6G Texan : flies as US Navy 51-15227/10. G-DDMV : 168-313 : T-6G Texan : flies as USAF 493209/Cal ANG. 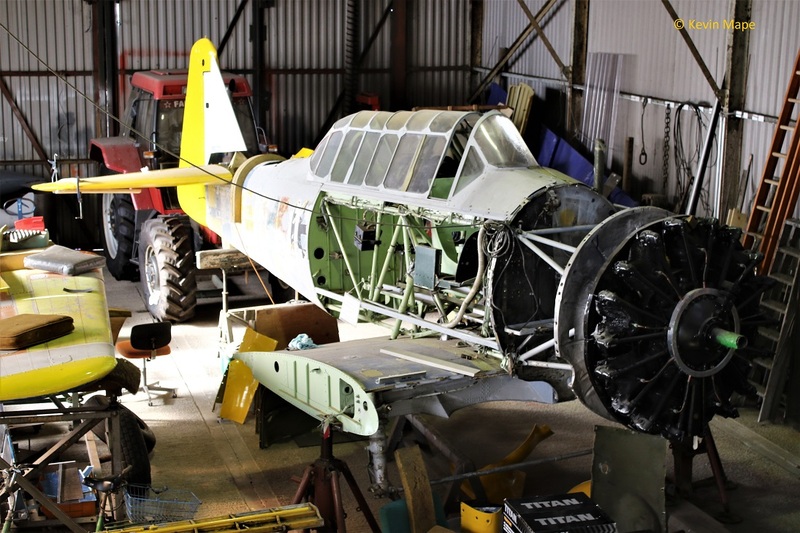 G-BRBC : 182-156 : T-6G Texan : Under rebuild. G – CJWE : CCF4 – 97 : Havard 4 : flies as USAF Cal ANG 481273. 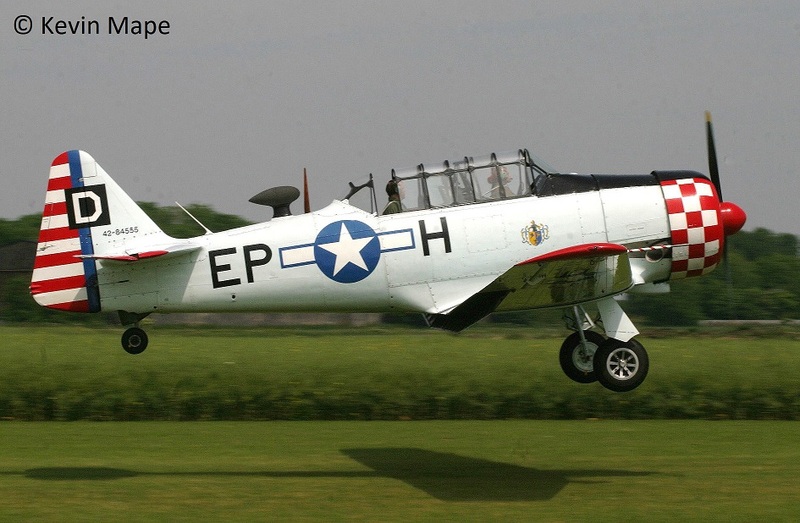 G-TVIJ : CCF4 – 442 : Havard 4 : flies as USAF 28521 / TA- 521. G – CHYN : CCF4 – 531 : Havard 4 : flies as Luftwaffe BF + 070. G-BUKY : CCF4 – 464 : Havard 4M : flies as US Navy 52-8543 / 66. ex N455V. 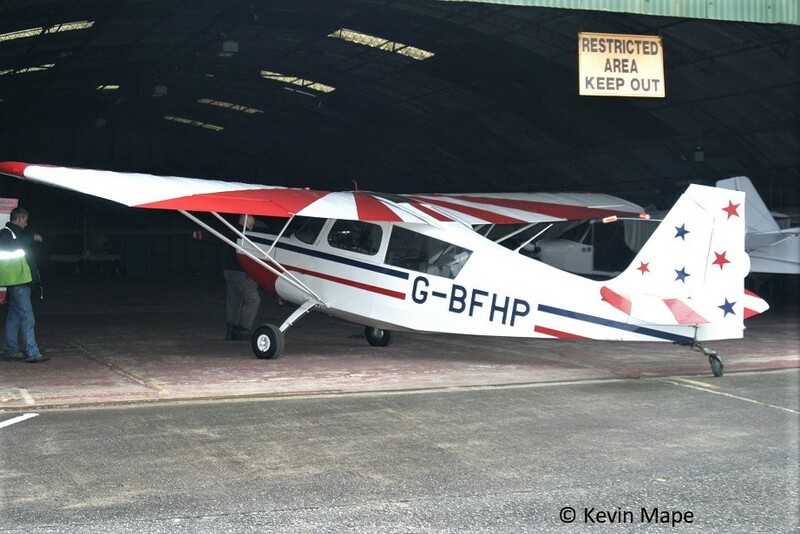 G-BSBG : CCF4 – 483 : Havard 4 : flies as USAF 28562 / FE-562 . G -BGPB : CCF4 – 528 : Havard 4 : flies as Portuguese Air Force 1747. 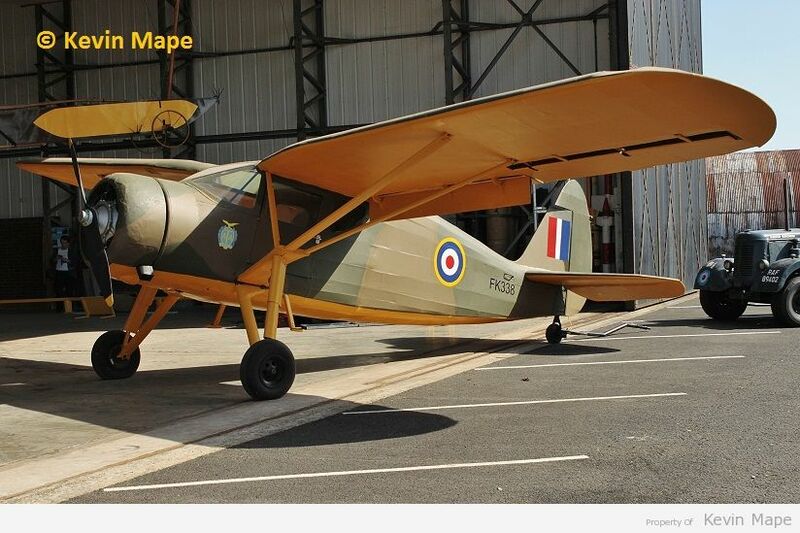 G -BJST : MM53795 : Havard 4 : flies as RAF AJ841. 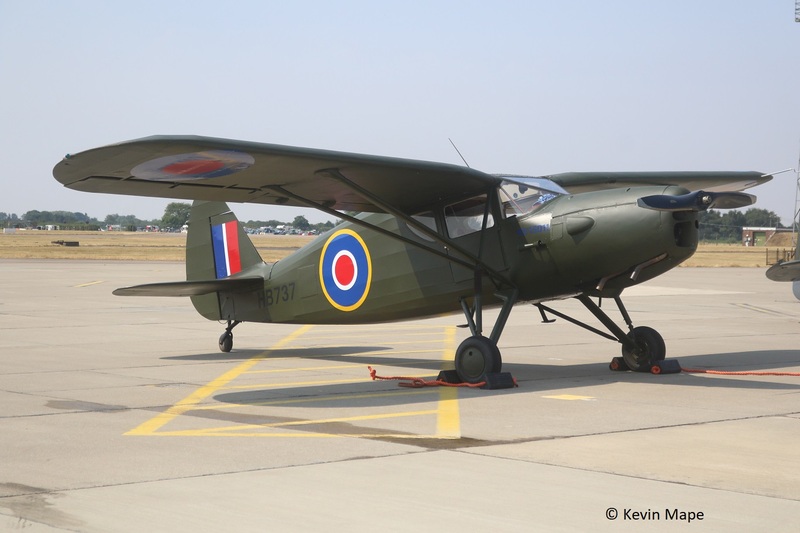 G-CKTL : 07-30 : AT- 16 Havard IIB : flies as RAF FE788. 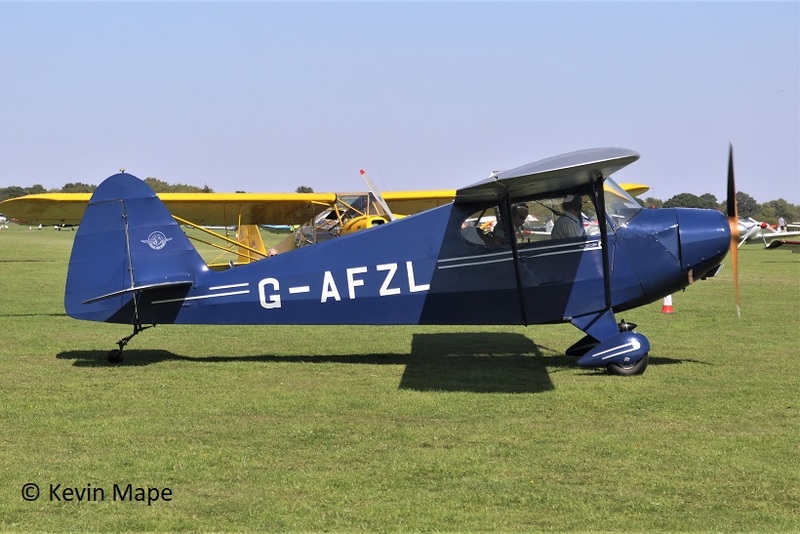 G-AZBN : 14A – 1431 : AT – 16D Havard IIB : flies as RAF FT391. 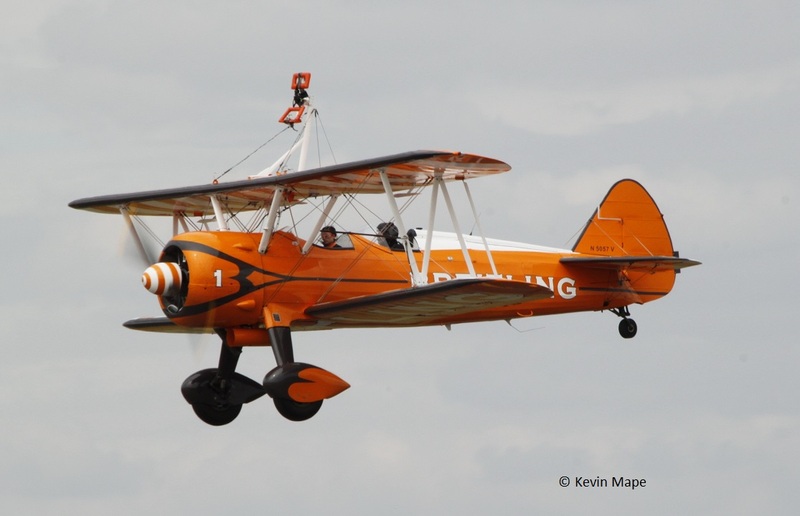 G-BTXI : 14 – 429 : AT-16D Havard IIB : flies as RAF FE695 . 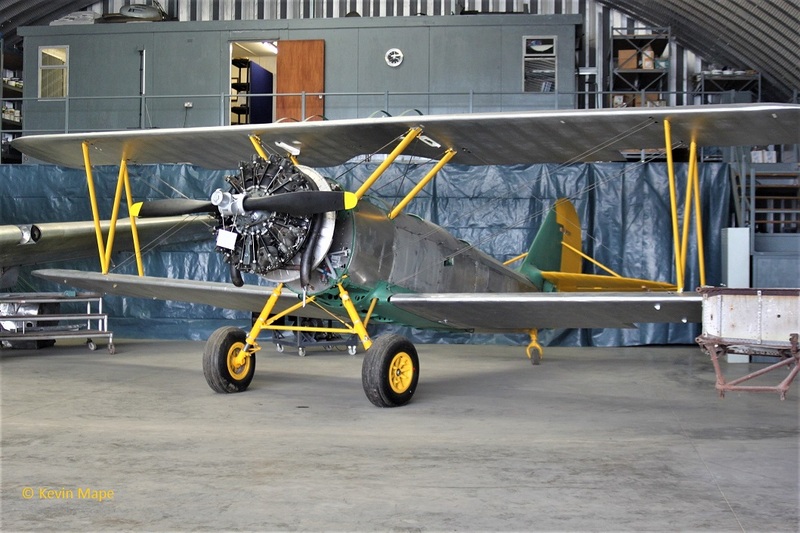 G-CIUW : 14 – 245 – 705 : AT – 16D Havard IIB : flies as RAF FE511. G-BDAM : 14- 726 : AT -16D Havard IIB : flies as RCAF FE992 / FR-992. 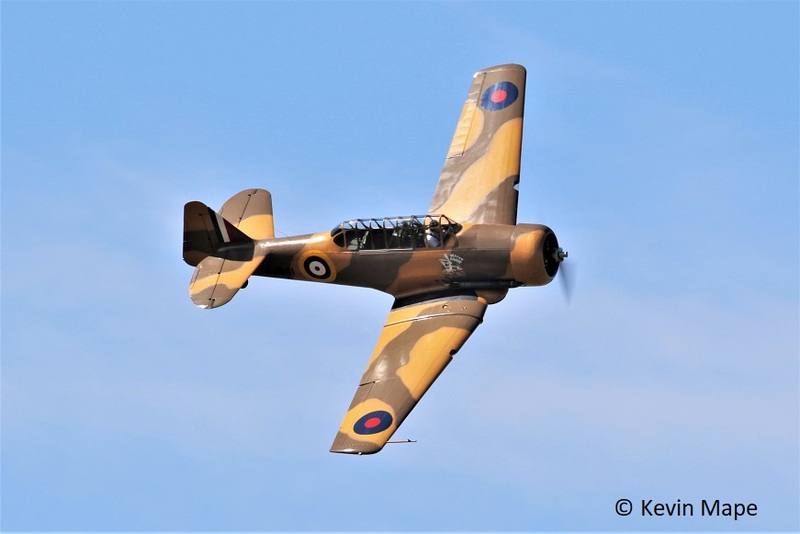 G-BBHK : 14 – 787 : AT-16D Havard IIB : flies as RCAF FH153 / 58. 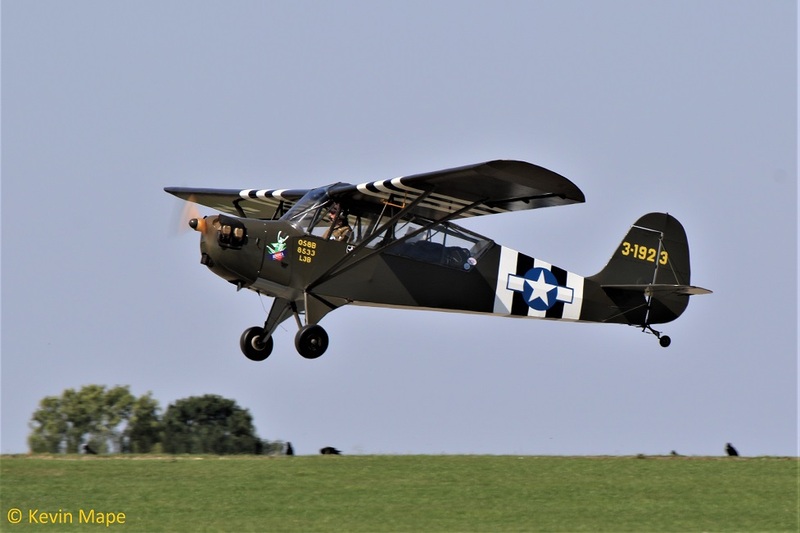 G-AZSC : 14A- 1363 : AT-16D Havard IIB : flies as USAF SC – 43. 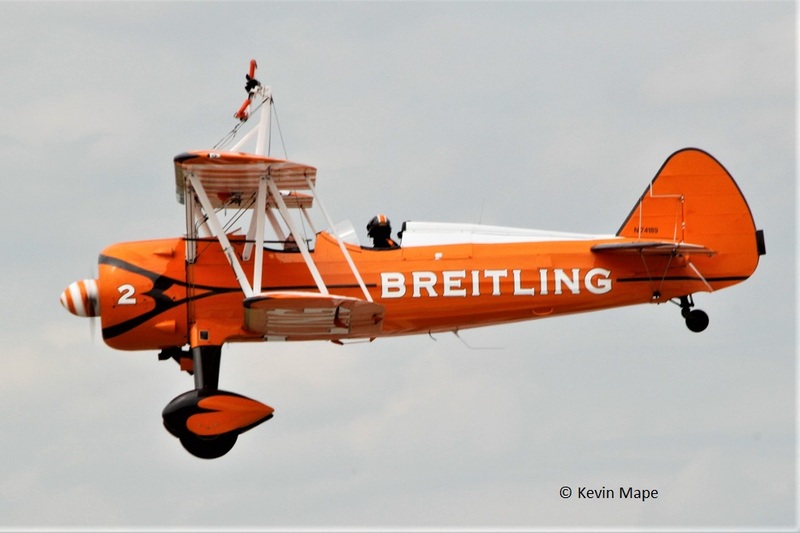 G-CORS : 14A – 1884 : AT-16D Havard IIB : flies as RAF KF183. 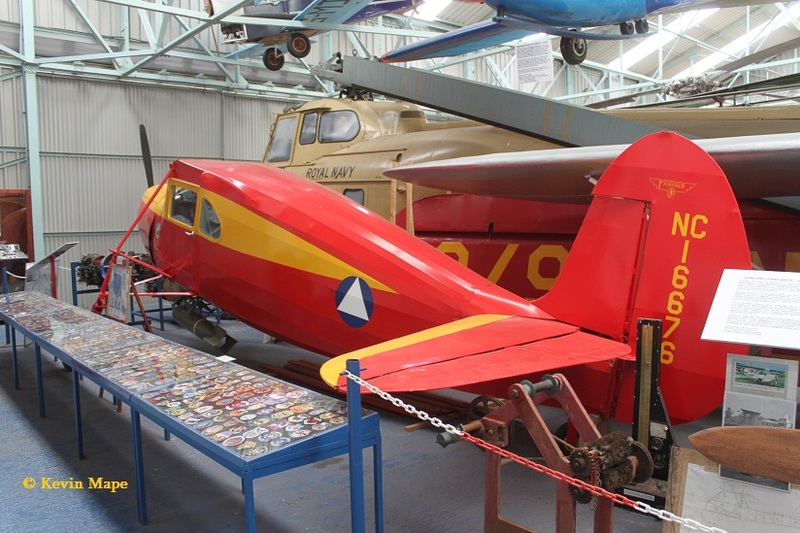 FX322 – AT-16D Havard IIB – Fuselage section – displayed at AeroVenture – Doncaster. 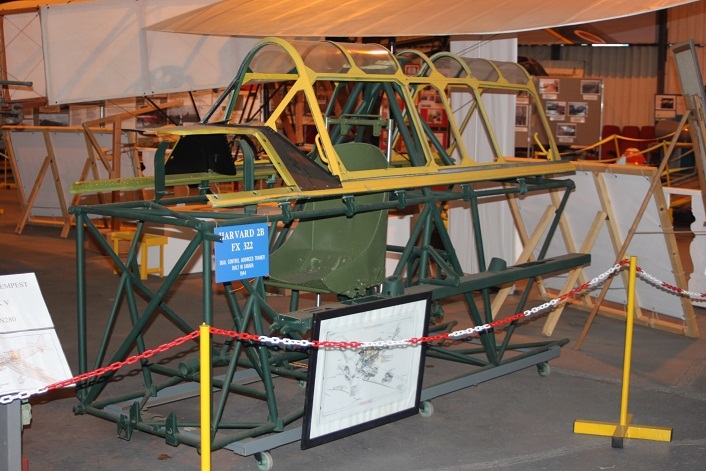 KF650 – AT-16D Havard IIB – Cockpit section – displayed at Sywell Aviation Museum.